Eley Metrology are proud to provide a sub-contract CMM Inspection and Certification service offering fast turnaround and accurate analysis of manufactured components. In the inspection laboratory, we are able to offer enhanced measurement facilities, from high-volume measurement to one-offs and prototypes. Eley's niche is the ability to accommodate larger components, and our record so far is three and a half tonnes on our CMMs without distortion. Eley Metrology provides Sub Contract CMM dimensional inspection, and certification, for production, development and educational establishments. Our CMM’s carry traceable verification certification via our UKAS Laboratory No 333, accredited to ISO 17025:2005. Performance Verification is in accordance with ISO 10360/2. All details of traceability are shown on our Inspection Reports. We can also cater to customer-preferred methods of reporting for use with a number of methods and media. Contact and non-contact measurement methods are available and dependent upon the components can be carried out on our Truth coordinate measuring machines, Eley's patented Vertex VMS digital height gauge or on the Schut Optical DeMeet machine. Within this inspection facility, experienced application engineers employ the latest CMM hardware and software enabling us to provide a quality inspection service. We have the flexibility to respond immediately to our customers' requirements, whether it is for a one-off component or to help overcome a surge in manufacturing demand whilst ensuring a quality service is maintained. Eley has worked with a number of leading organisations providing solutions in the rail, aerospace, automobile, manufacturing industries and many more. Our comprehensive subcontract inspection service is available from one-off to multi-batch inspections within a temperature stabilised environment. CMM Sub-Contract Inspection and Reporting - small to large volume geometric inspection and reporting and small to large volume full contact scanning and reporting. Eley Truth S Bridge CMM for Larger Items - with a measuring capability of 1500 x 1000 x 600, however, larger parts can be accommodated. Video Optical Inspection - small volume video optical inspection and reporting. 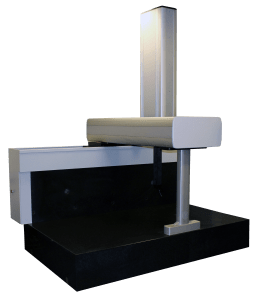 VMS Vertex Digital Height Gauge Inspection - small volume general inspection using height gauges and other general inspection tools. Toolroom - complete solution for sub-contract inspection with the ability to manufacture measurement tooling with fully documented drawings. If you’d like more details about our CMM Inspection and Certification service, then our team are available to help.